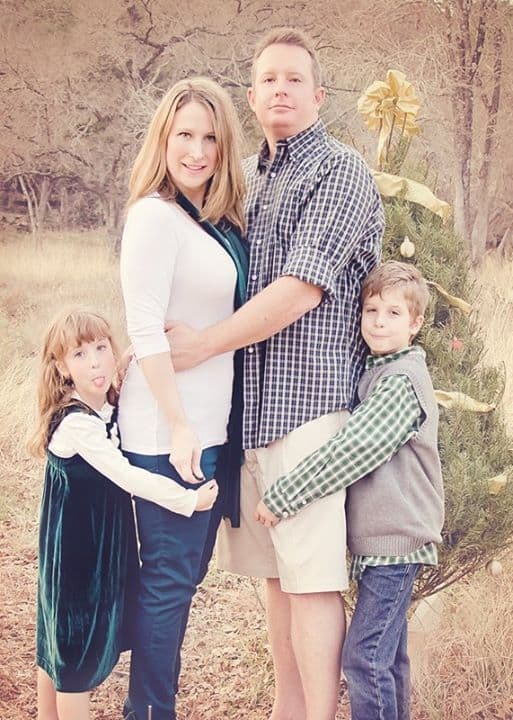 We have a tradition, every year as soon as the leaves begin to change color (usually mid- November) we get together with another family and take turns shooting each other’s holiday portraits. This works out so well- it’s just so helpful to have another person to ensure everyone is in the right spot and looks good. 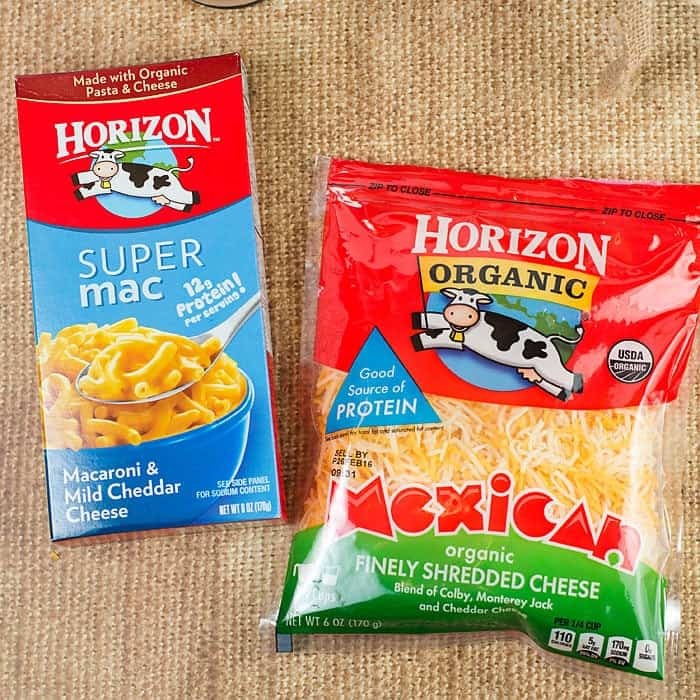 The kids love Horizon Mac and Cheese (I love that it’s made with organic pasta and cheese, plus it’s packed with extra protein!) 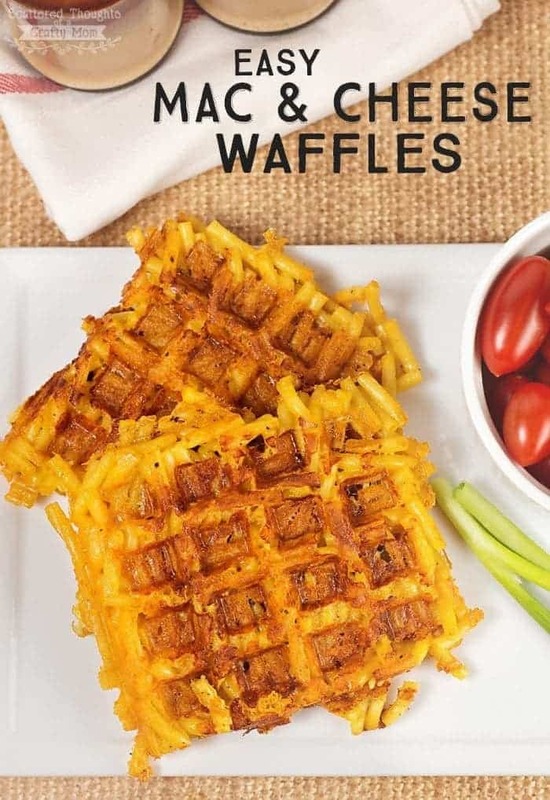 To make the Mac and Cheese Waffles, all you need is a waffle iron, a bit more shredded cheese iron and the prepared mac and cheese. Don’t they look good? Kids loved them! 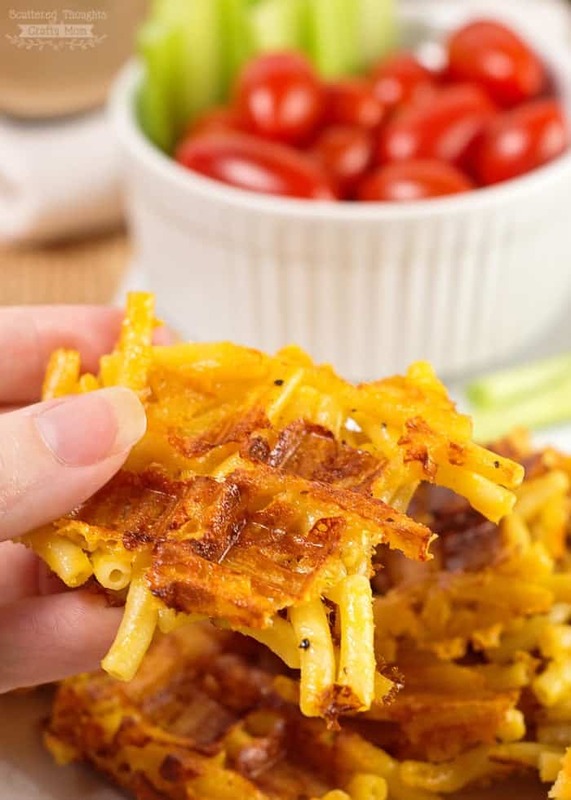 These Easy Mac and Cheese Waffles are crispy on the outside and cheesy on the inside! 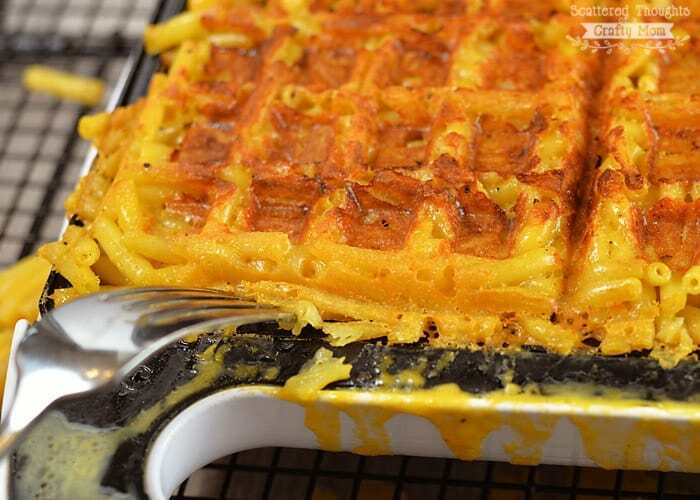 (Mac and cheese cooked on a waffle iron! ) What’s not to love? Heat waffle iron on high setting. 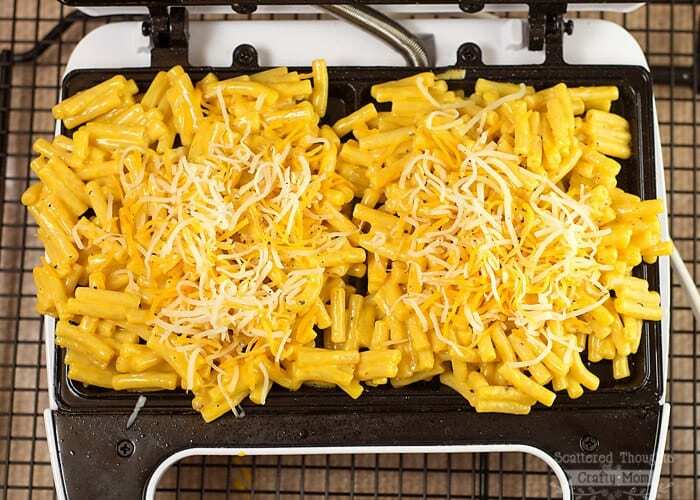 Fill iron with mac and cheese, topping with additional shredded cheese. 5. After cooking allow waffle to cool just a bit and carefully loose the edges of the waffle. The waffle should pop right out! That looks so delicious and I am loving all of those crunchy bits. I would have never thought to put mac and cheese in a waffle maker. These look amazing! I love an excuse to break out the waffle-maker – and this recipe seems nice and easy for a busy weeknight! Thank you! What a fun spin on a favorite. 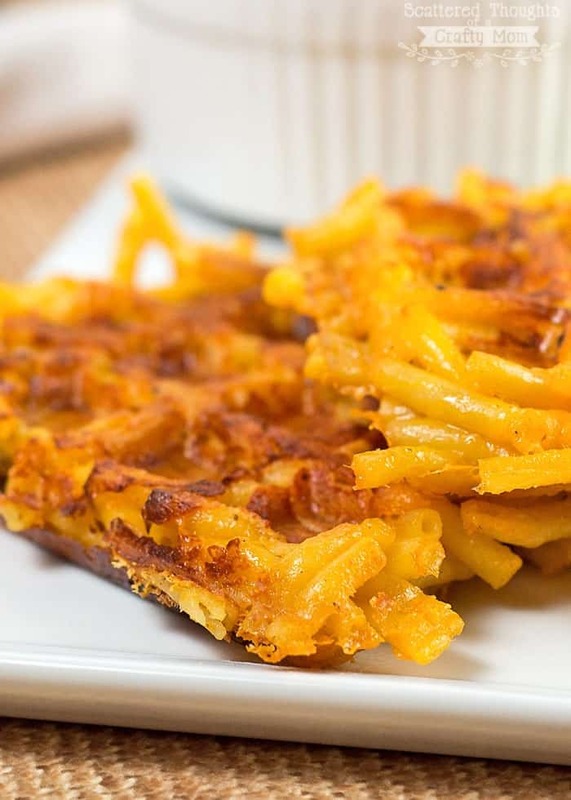 My kids would love to have mac & cheese waffles (and Halloween candy for dessert). My waffle iron is going to get a workout! Yum! My kids would love this! How creative! These look delicious! Yummy! I wanna grab this for my breakfast, I love waffles. oh wow, what a fun idea!! I can't wait to try this! 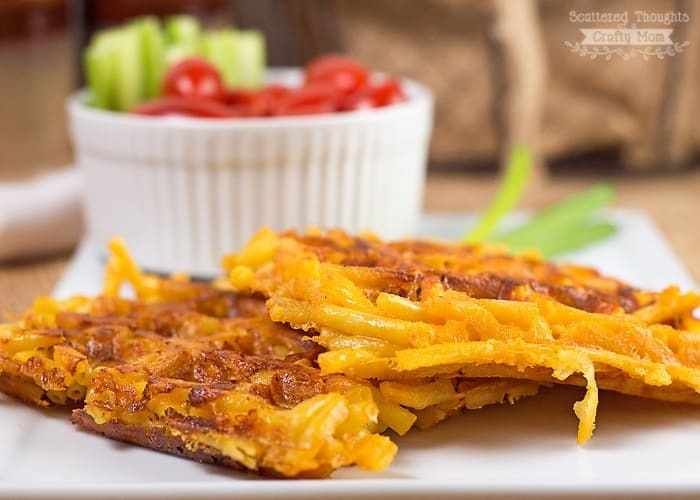 My kids aren't huge fans of mac and cheese, but they LOVE waffles, so I bet I could convince them that mac and cheese would be fun like this! What a neat spin on mac and cheese! OMG! This would be my ultimate indulgence. My kids love the Horizon mac and cheese; especially the white cheddar. I can't wait to try this w/ that. No way! How awesome do these look?! How cool are these! 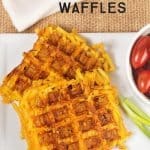 I seriously never would have thought of making waffles out of mac and cheese, but this is a definite must-try! This is going to become a favorite among the little ones. Great comfort food. What a great idea for a meal. I think the little ones are going to love this recipe. The add-in possibilities are endless. What a cool idea! crispy cheese, YUM! Hello! I am a freelancer for TasteOfHome .com, and we’d love to use this recipe/a photo for a slideshow we’re working on. We’d give credit as well. Please let me know! Excellent. Thanks so much! I’ll send over a link when the slideshow goes live on our site.